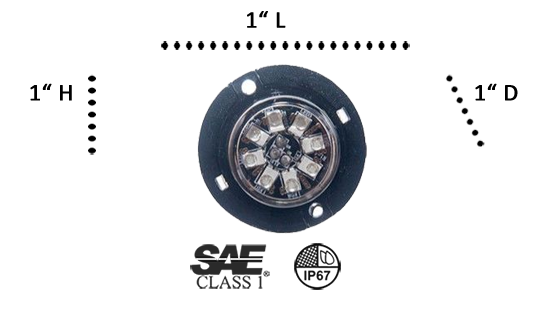 It can be installed almost anywhere by carefully following the directions in the Installation Guide of the Knowledge Base section on ETD’s website; make sure it doesn’t route near any airbag deployment areas and always keep it as close as possible to the focal point of the light you’re putting it near. If, by any chance, this is the first light you’re installing and there is no existing light or siren system to hardwire it to, then you’ll have to also purchase an ON/OFF switch. The Hideaway is so notoriously bright, it’s really difficult to look at them even in our product video! I mounted two of these in my rear taillights in the white section where the reverse bulb is. These things are super bright. They do not get hot at all as I was worried with them putting out so much light. When I am stopped on the side of the road I can definitely be seen. I got the 4 pack and saved a few dollars. The install was fairly simple I love the video they had that helped guide me through the install process. These lights are very bright and I bought the dual color version of red and white. I placed two of them in my reverse marker and I places 2 in my front headlights. Very Bright and lots of good flash patterns. The lights work really good and are bright day and night!!!! !